May I Serve You Gin and A Sinking Ship? 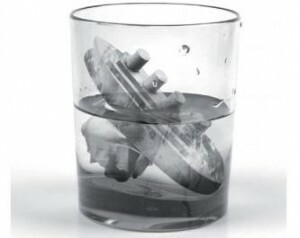 Okay so you are at a party and you are served a drink with a ice cube in the shape of a ship. Not just any ship but resembling RMS Titanic. Do images come to mind of the star-crossed lovers of Cameron’s Titanic? How about the terror those aboard felt in those final moments? Or will just laugh it off as a joke as the people at Fred and Friends hope you will? After all they are just ice cube molds, right? I can say, with some authority, what many in the Titanic community would say and it would not be printable here. Some of the printable words are disgraceful, tacky, disrespectful and that is on the mild side. There have been many Titanic themed products over the years, some very nice collectibles and others just tacky like stuff sold to tourists at Fisherman’s Wharf in San Francisco. 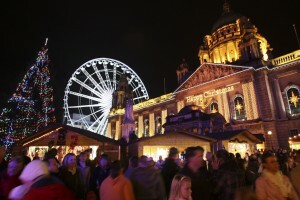 Christmas in Belfast 2009 with big wheel in background. A recent travel write-up noted how much Belfast has changed since peace began. The picture at the top is from the Belfast City Council and shows the 2009 Christmas celebration. One bit of discord is that big wheel you see there. It blocks entrance to the Titanic monument there, which has caused a row between the local Titanic group and the city leaders. You can read about it at the news side of the site. Hopefully the next time they put it up they are more mindful of not blocking the Titanic memorial that likely tourists will want to see. After all that is what they are spending millions of pounds for in the first place. 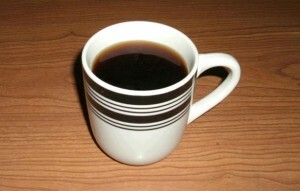 I never knew that there was a coffee problem in Britain until I read Chloe Lambert’s article. She laments that British coffee was not up to snuff when compared to what you find elsewhere in the world.